As a total and gigantic icon of American music and songwriting, Bob Dylan's very name carries with it the aura of respect, and the effect of awe, and adoration. Very few in our comparatively short, but formerly proud tradition here in the USA can compare with the lyrical genius and melody making Bob has provided over the years. Bob didn't go it alone. 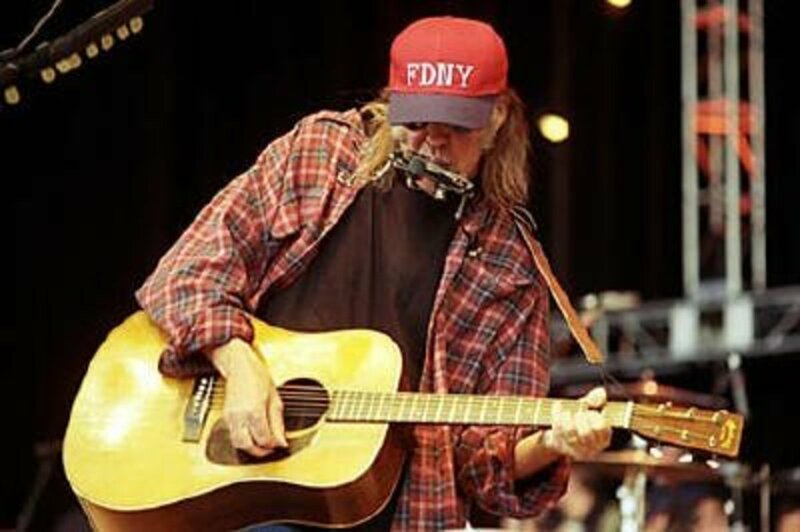 He was initially a supremely successful singing poet who set the backdrop of his music to acoustic guitar, performed by himself, and on another American icon, a guitar made by C.F. Martin & Company. Facts are, Bob Dylan was so very closely related to the acoustic guitar in the minds of his fans, the first time he appeared on stage with an electric guitar was the first time he was, literally, boo'd off of a stage, and even referred to as a "Judas." There is, however, some interesting controversy as to what is or isn't true in that story. So what kind of guitar does Bob Dylan play? 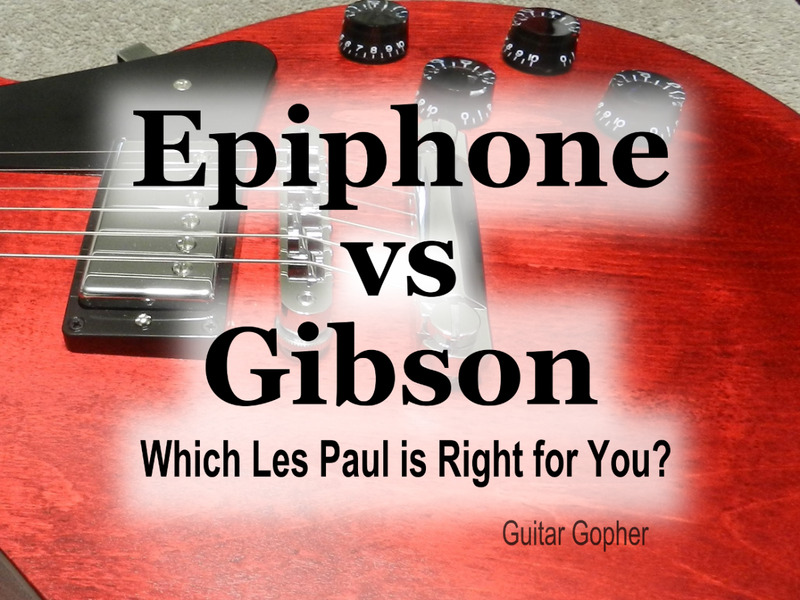 Well, the easy answer here is, "any guitar he wants!" Bob Dylan has, of course, been a cultural and musical songwriting and singing legend my entire life, and had been a good long while before I was born. From the very beginning of Bob's performing and recording career, he played Martin guitars. In fact, as he'd modeled himself somewhat after another folk legend he'd admired as a youth, Woody Guthrie, he'd managed to attain and become known for playing the Martin 00-17 throughout his earliest days in New York City. I should be clear here as to the guitars associated with Bob Dylan over the years: He's not always played Martin guitars, he's also been rather fond of Gibson guitars, and the electric guitar Bob infamously played to the dismay of his acoustic folk loving fans? 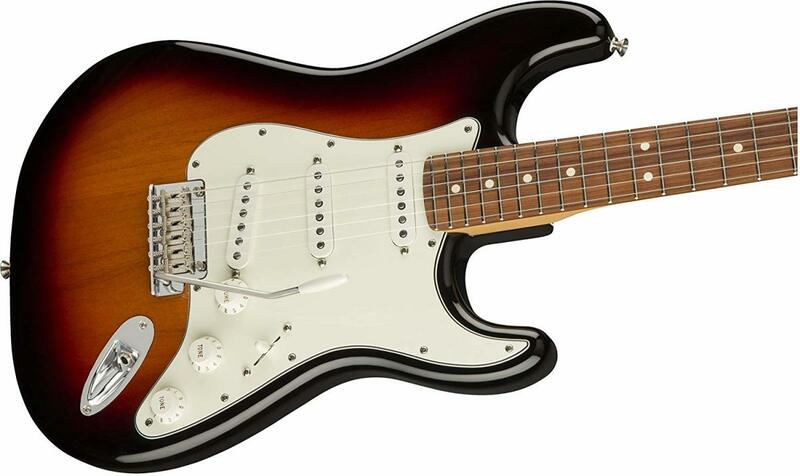 It was a Fender Stratocaster. Bob Dylan has done rather well at promoting all three of America's big three guitar manufacturers, but of course the relationships were mutually beneficial, and also beneficial to the fans of the music created by Bob Dylan. Bob Dylan's often photographed and well remembered Martin 00-17 is a 1949 model. The Martin 00-17 was never one of the company's most popular instruments, in fact, it was one of the most affordable guitars C.F. Martin & Company produced at the time. 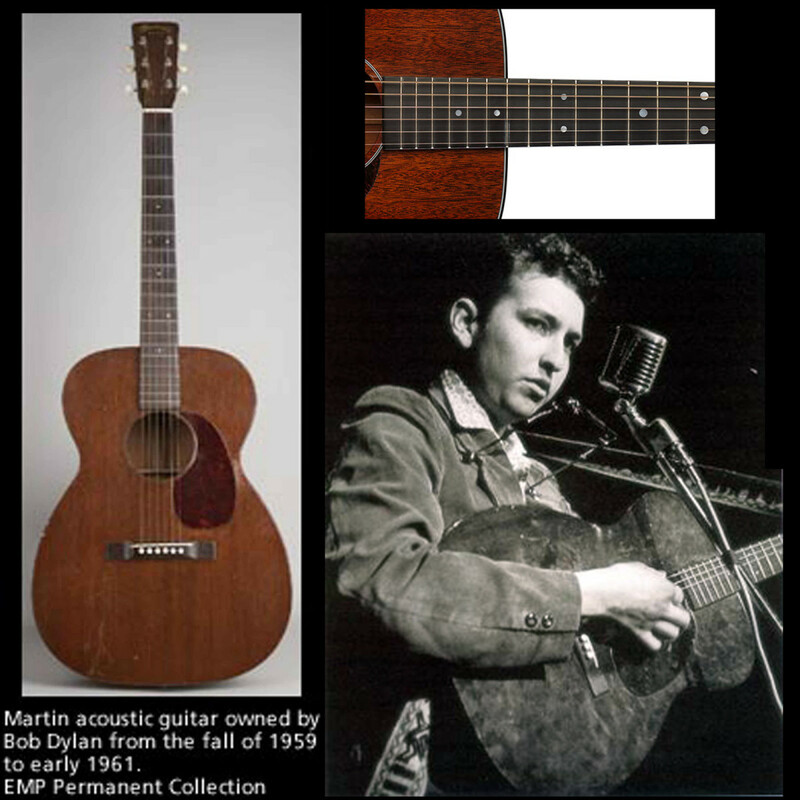 It is no longer produced today, but do not fret..well, fret away, but I mean, "do not fear;" as Martin does make an instrument almost identical to the 00-17 that is readily available on the global marketplace. It was beyond certain that Bob Dylan's arrival in New York City, and consequently, on the national musical spotlight with a Martin 00-17 was due to his admiration for Woody Guthrie, and Woody Guthrie's frequent recordings and appearances with the instrument. 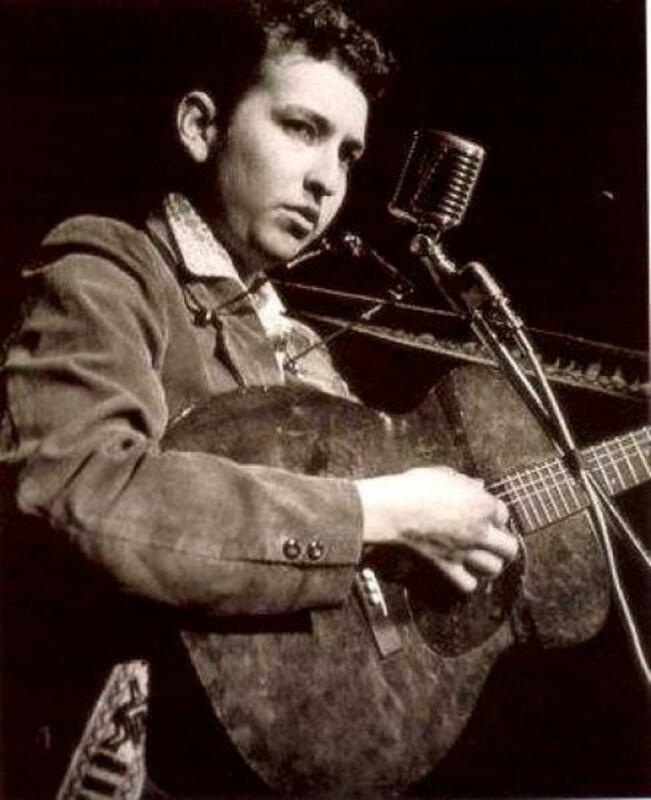 Bob would play the 00-17 exclusively for his first three years of performing, and following that, well, he could most certainly afford most any other guitar he desired, and ...owning one guitar is just never enough for the guitarist, and any guitarist would well agree! So What Is A Martin 00-17? 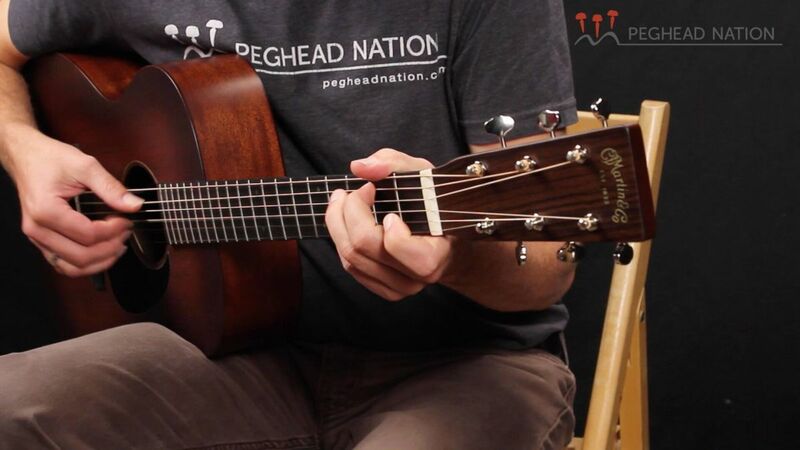 Quite naturally, the Martin 00-17 is a great little guitar. I said, "little," as it isn't anywhere near as large as a dreadnought sized guitar, it is a few sizes down from there in size, but the size of the thing isn't what is especially different about it, what makes the 00-17 Martin guitar truly different is it being made entirely from mahogany. 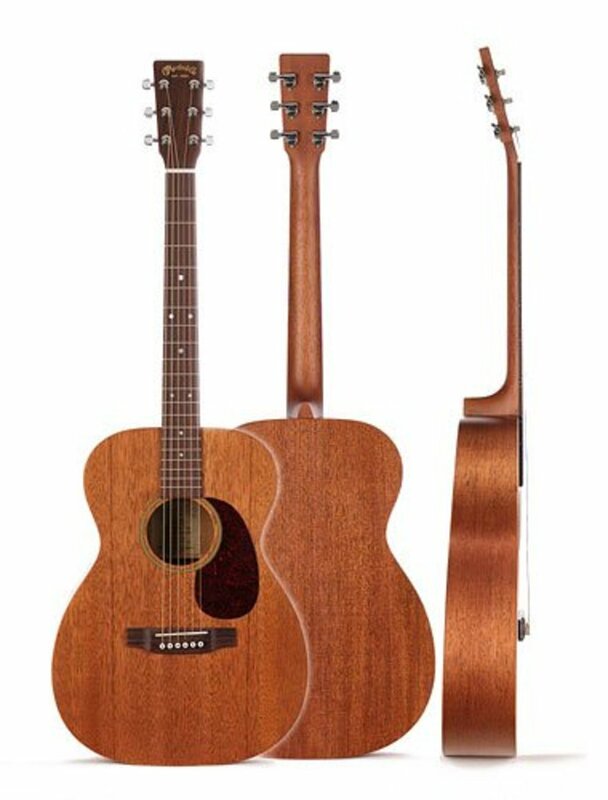 Very often Martin and other guitar manufacturers will create mahogany guitars but then put a spruce top on them, but that is not how it is with the 00-17, the Martin 00-17 has a mahogany sound board, and a mahogany body, and a mahogany neck as well. Selected mahogany body, top, and neck, with rosewood fingerboard and bridge; steel T -bar makes the slim neck very rigid under the oval fingerboard with wide frets and white dots. Hand rubbed and polished lacquer finish, dark mahogany color. Nickel - plated tuning machines, single unit style.Price: $35.00The Mahogany used in Martin instruments comes from tropical America. In three inch lumber for necks and in quarter sawn veneer for bodies it is air dried and carefully matched in color and grain; that means fine tone and appearance. 2. They don't make them anymore. So dude, I've always wanted to own a guitar just like Bob Dylan used in his early performances and recordings! It just has a different sound, and that is the sound I want! What do I do? Well, you are correct, the small all mahogany guitar does have a different sound, and I'm glad you asked, as there is, in fact, a solution to your problem. 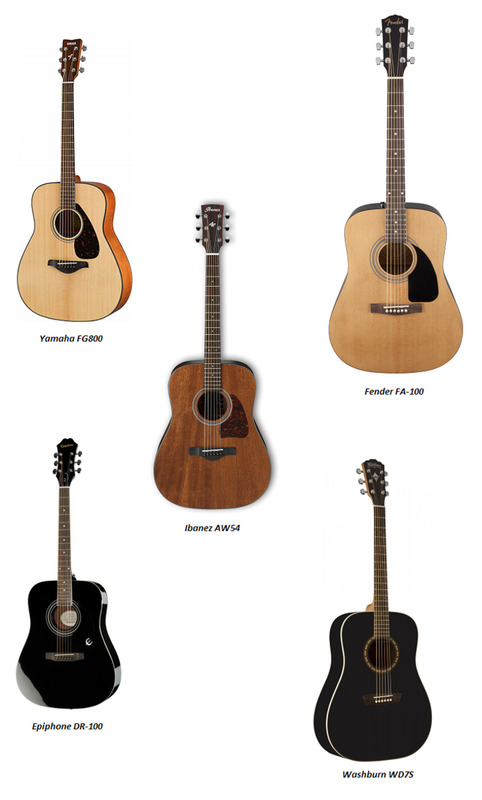 With only a few exceptions, the Martin 00-15 is a reproduction of the Martin 00-17. It is an outstanding concert sized all mahogany guitar available at an amazingly affordable price. It is unclear as to whether Martin 00-15's are being constructed with a combination of mahogany and Sapele, or if maybe some are entirely of mahogany, and others entirely of Sapele. In the case of Sapele, nothing is lost, as Sapele is a cousin to mahogany, and is so very similar few can see or hear the difference. Of course the fingerboard or fret-board and the bridge of these guitars are made from rosewood, and in this case, it is East Indian rosewood. Of course the Mortise/Tenon neck joint is not something the 00-17 was built with, and of course new glues, finishes, slightly different bracing, and new factories and employees are involved; but C.F. Martin & Company is trustworthy in regards to their product as an absolute rule.Priced and available new at about a thousand dollars, this is a lifetime guitar. Hi, I really enjoyed reading your hub. I have several old Martins but never played a 00-17, I hope to some day. I liked that you mentioned that this guitar is smaller, I need that size. Will look forward to more of your work. You got to see Bob TWICE! You'll get to tell people about that when he's gone...and they'll be so very jealous. Bob's songs are so damn good - your children, grandchildren, or nieces, nephews...and all young relatives will someday say, "Audra saw him...TWICE." I used to go see shows fairly often...I've got to get back into it. I took my younger brother to his first concert...and he probably goes to see twenty or more a year, and always has. Wesman, I noticed...you are quite passionate about what you write...sincerely. You write about a number of things; a great variety! A I come back to read what you all are creating a little each day, I am amazed! Bob Dylan is extraordinary! I saw him 2 times with his really good band. Instrumentally and lyrically he is like no other artist in history. Even vocally, you know it is him at first listen, It is cool how you talked about his guitar with all mahogany parts and listed guitar construction. Well written and interesting! The only thing missing was that I wanted to read more about BD coming from your written words...sincerely! tonymead60 - Thanks very much! Yes, these are pretty small guitars, and these guitars are NOT very loud at all without amplification. The mahogany gives them a very warm woody sound though! good and interesting hub. I'm a big fan of BD and like so many guitarists of the sixties I learnt to play using songs such as Blowing in the wind and Mr Tambourine man. I've never had chance to play a Martin guitar, but the sound on Dylan's recordings is very good. It does not look as big as a folk jumbo which has a great sound with great depth. I must have a go on one of these and maybe add it to my collection. Olde Cashmere - Thanks very very much! 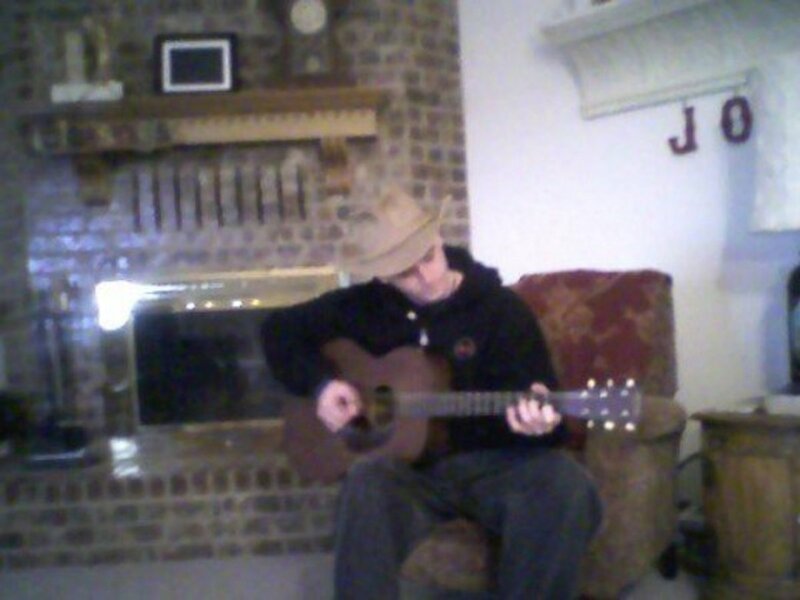 They are terrific little guitars - I just wish one could ...turn me into a song writer like Bob Dylan! I suspected as much. Todd is easier and a one syllable. Thanks for the tip Wesman, really appreciate it. Do your friends back home call you Wesman or Todd...just curious. I can flatpick a bunch of old Scottish and Irish melodies, and Appalachian fiddle tunes...and that is about it! Regarding product hubs - heck, just look around your place at things you know and love, and write about them! That's all I do...of course I don't have anywhere near a guitar store, but growing up I was exposed to hundreds and hundreds of acoustic guitars, and was told about all there was to know about all of them....and then, of course, I have also owned several...and I just love those things...so I write about them. Only things that make money online are articles about products...at least for me. Seriously though, I am no good at affiliate marketing. Such as the way you totally write a hub about a product. How does one know what will sell online and what makes money?